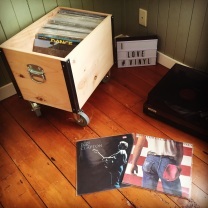 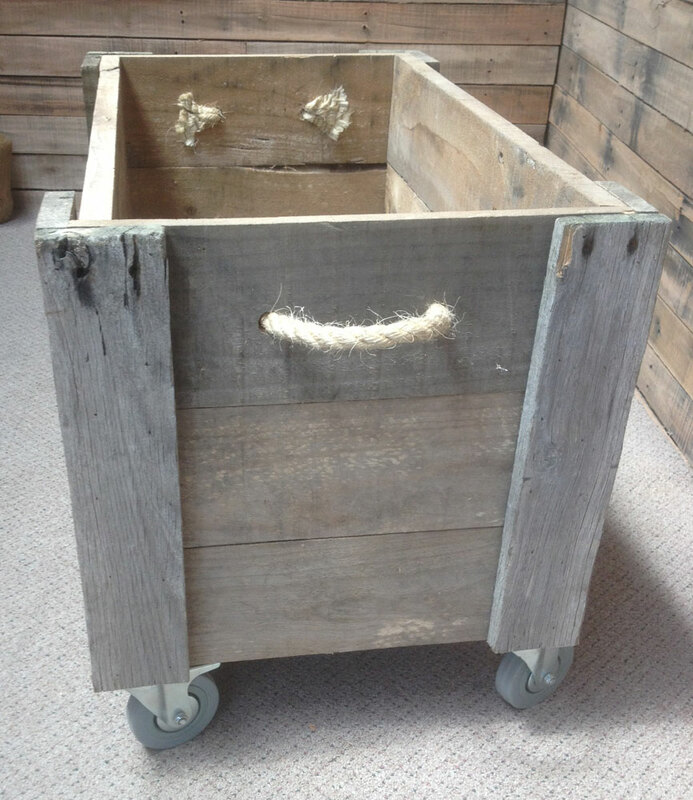 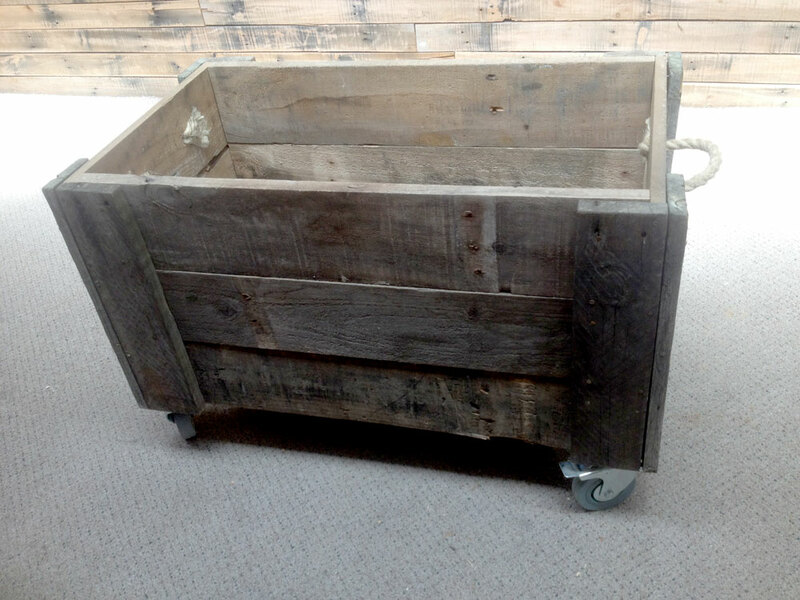 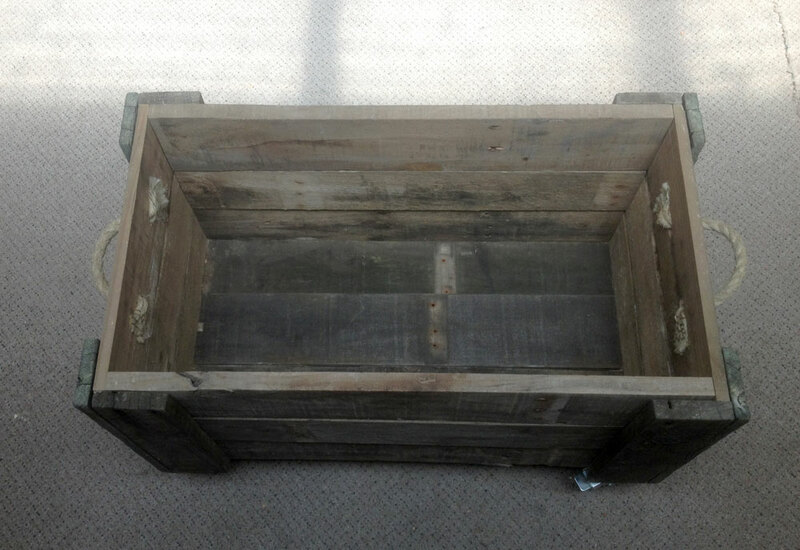 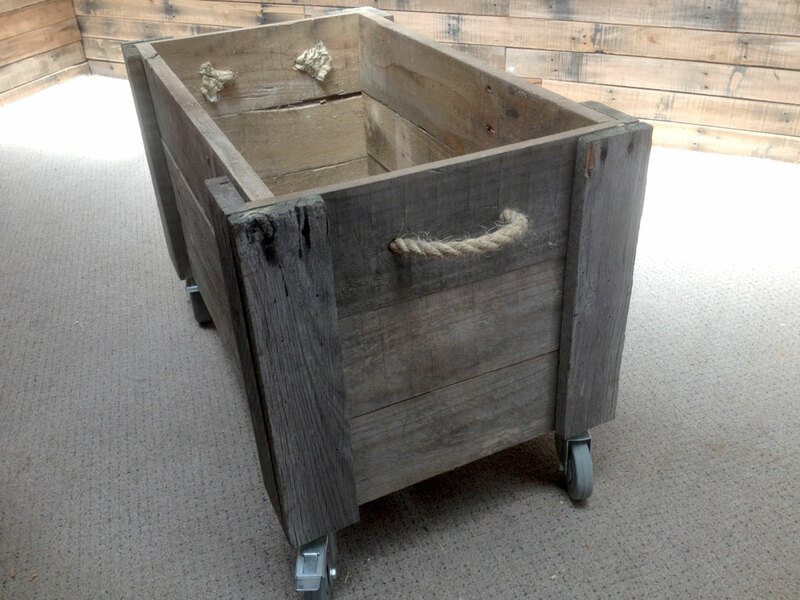 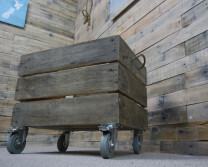 These industrial styled rolling storage crates are perfect for large items, toys, and books. 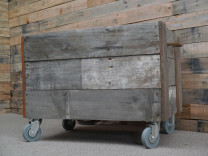 The rolling pieces are industrial looking with a distressed finish and made from reclaimed materials. 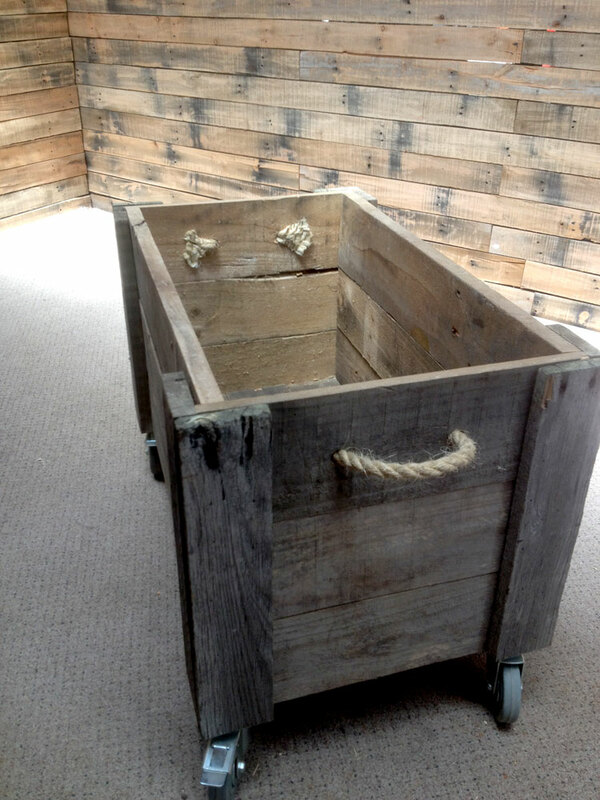 Made to order, please enquire.